Domain structures of wild-type and mutant amyloid precursor proteins. Luu et al. recently studied the regulation of neurite (i.e., neuronal axons and dendrites) outgrowth by amyloid precursor protein (APP) homodimers in SH-SY5Y human neuroblastoma cells over-expressing either wild-type (WT) or mutant L17C APP. APP is a transmembrane glycoprotein highly expressed in the brain and spinal cord, and its metabolites are involved in various physiological and pathological functions. For the present study, the authors utilized mutant L17C APP which correlates with a 30% increase in APP homodimerization. In differentiated SH-SY5Y cells displaying a neuronal phenotype, over-expression of the mutant, but not WT, APP reduced neurite outgrowth. The mutant APP-mediated inhibition correlated with increased RhoA activity, a known negative regulator of neurite outgrowth. 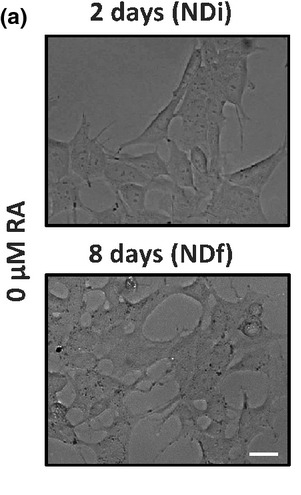 The mutant APP/RhoA-mediated decrease was rescued with application of either the Rho inhibitor Y27632 or conditioned media from cells over-expressing WT APP. In addition, over-expression of the microRNA miR-34a rescued the mutant phenotype concomitant with a decrease in RhoA activity. Cytoskeleton’s RhoA G-LISA activation assay Kit (Cat. # BK124) was an essential reagent in this study, providing an economical, sensitive, and reliable means to study the mechanistic role of RhoA in APP-mediated regulation of neuronal differentiation and morphogenesis, processes integral in neurodevelopment. Luu L. et al. 2018. Amyloid precursor protein dimerization reduces neurite outgrowth. Mol. Neurobiol. doi: 10.1007/s12035-018-1070-4.